The ghost of Barry Fairbrother is watching over the residents of Pagford U.K. in a new trailer for J.K. Rowling's The Casual Vacancy. The four-part mini-series will air over two nights, with the first two parts airing Wednesday, April 29 and the last two hours debuting Thursday, April 30. 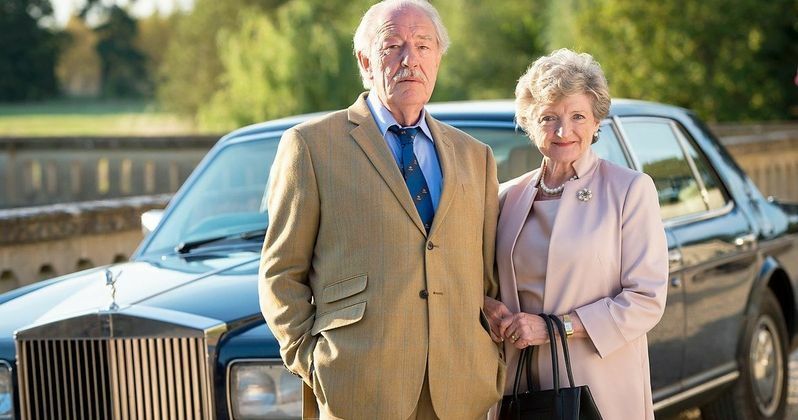 The Casual Vacancy centers on Pagford, a seemingly idyllic English village with a cobbled market square and ancient abbey. Behind the pretty façade however, is a town at war: rich at war with poor, teenagers at war with their parents, wives at war with their husbands, teachers at war with their pupils. Pagford is not what it first seems. At the Parish Council meeting the subject of Sweetlove House and its legacy arises. Howard Mollison, the Chairman, heads up the faction who want to see an end to the legacy; the thorn in his side is Barry Fairbrother, who makes an impassioned speech outlining the importance of the legacy, and the services it provides. For now, Barry has won the argument. When Barry dies suddenly, Pagford is left in shock, and the empty seat left by Barry on the parish council soon becomes the catalyst for the biggest war the village has yet seen. Three candidates are soon lined up: Miles Mollison, Howard's son; Colin Wall, Barry's friend; and Simon Price, Barry's half-brother. The cast includes Michael Gambon, Keeley Hawes, Rory Kinnear, Monica Dolan and Julia McKenzie, and introduces Abigail Lawrie. HBO Miniseries presents in association with BBC a Bronte Film and Television Production; executive produced by Neil Blair, Paul Trijbits and Rick Senat; directed by Jonny Campbell; written by Sarah Phelps; produced by Ruth Kenley-Letts. Take a look at the latest trailer before The Casual Vacancy debuts on HBO next month.